MOT at Brake Station is always £29.95 - Over the phone, online and over the counter. What you need to know about an MOT. 1. If your car is 3 years old or more you are required by law, to book your car in for an MOT test. 2. Your MOT test can be done up to 4 weeks before the expiry date. 3. Tell us when your MOT is due and we will happily send you a free reminder. The MOT test ensures that your vehicle is in a roadworthy condition and meets environmental standards as outlined by the Government/DVLA. If your vehicle passes its MOT, it has met the minimum road safety and environmental standards as required by law and receives a pass certificate which lasts for 12 months. However, this does not mean your car is roadworthy for the length of validity of the MOT certificate. The Certificate surprisingly does not guarantee the general mechanical condition of your vehicle and the MOT test itself does not cover the engine, gearbox or clutch. The MOT should not be treated as a substitute for regular maintenance. The MOT certificate is simply a paper receipt of the MOT and shows the information which has been entered onto a secure central database by those who tested your vehicle. MOTs are regulated by Vehicle and Operator Services Agency (VOSA) the following areas are checked to ensure they meet legal standards. * when taken together and at the same time. 19. Body & vehicle structure. 2. You are taking your vehicle away from where it failed its MOT and driving to a place for it to be repaired. 3. 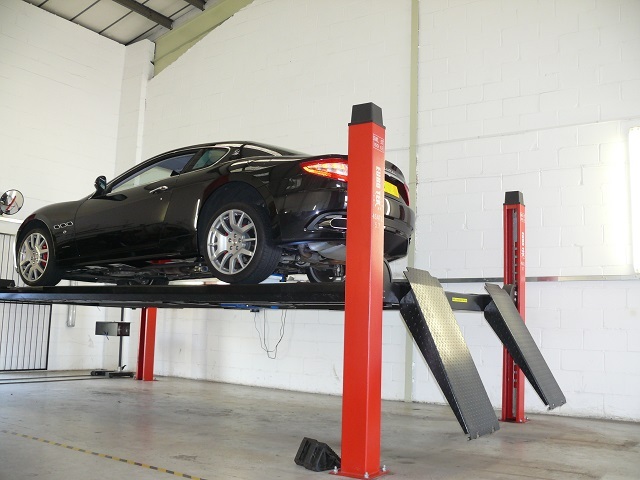 You are driving to a place where an advanced booking has been made, to have the components which caused your vehicle to fail its MOT repaired. 4. You are taking your car away from a place where it has just been repaired. The MOT test fee depends on the class of vehicle. The maximum fee that can be charged for a class 4 (ie. passenger car) is £54.85 and is not subject to VAT. The fee charged by Brake Station is a limited time offer and can be withdrawn at any time. 1. Book you car in. 2. Take car to the test station. 2a. Wait while MOT is completed. 2b. Leave car and pick up later. The MOT test will generally take between 45 and 60 minutes to be completed. If your car is refused an MOT, Brake Station will contact you before carrying out any repair work.